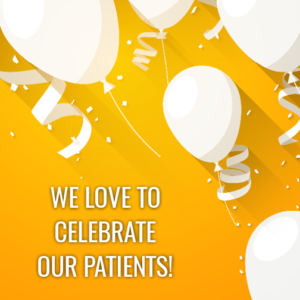 Here are the top five reasons why we love our patients! Montclair Smile Design patients say Thank You! Our patients show gratitude for the things that we do for them. Our patients desire exceptional dentistry. They are proactive in their dental care. Our patients share our enthusiasm over Ultrafloss, our favorite/the best floss!! Montclair Smile Design patients share their personalities with us every day! From things that make a small difference to the big things that change our days completely, we are grateful for the wonderful patients we call our own. We like to cultivate an environment of trust and friendship in our office, the kind that extends out into the rest of the world. Our encounters with our patients outside of the dental office continue to prove that. Do you know someone looking for an exceptional dental team? Are you searching for a dental office that enjoys helping others? Well look no further! At Montclair Smile Design we are happily continuing to accept new patients. Refer us a friend today! Questions? Comments? Send us a message below, or contact us via phone, email or even text!